4 home based businesses – who said it couldn’t be done? Once upon a time – a business was for life – not so anymore!. Having worked hard in my 30 year teaching career – during which I ran my own nursery for 21 years – I turned to becoming a book lady – selling children’s books via stalls at local events and book parties. When the book company moved the goal posts after I had built my business for 7 years, I decided to leave and then at the age of 58 I had to look for new ways of earning an income. 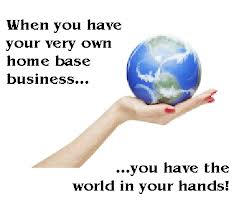 I found other home based businesses and set up several. I decided to spread my eggs into several baskets. There was criticism but at the end of the day – it’s my life and I have to do what’s right for me. What is right for me is not necessarily right for others. This entry was posted in Business, Business Advice, Ecofriendly living, Education, Entrepreneurship, Gifts & Cards, Green Things, Health and well being, Home Based Businesses, Isle of Wight, Networking, Testimonials, Wikaniko and tagged eco friendly, eco friendly gadgets, Eco friendly living, educational products, gifts, grettings cards, home based business, Home based business opportuntity, Lyn Blackledge, Lyn Blackledge Independent Phoenix trader, Phoenix trading, Primary Stars, Wightbuzz, Wikaniko, work from home, Zoobookoo by Lyn. Bookmark the permalink. sounds like a life of success! so cool that you’ve taken advantage of what the internet has to offer. at almost 30, i’m barely getting my feet wet! Well I wish you luck on your internet journey. Social media, when used properly, can connect you with lots of super people with whom you can engage to further your business. I made another excellent connection today on facebook, who lives on the Ilse of Wight as I do. We connected tonight via phone (a very long call) and have already put some plans in place.